The views from the 6ix just got better. 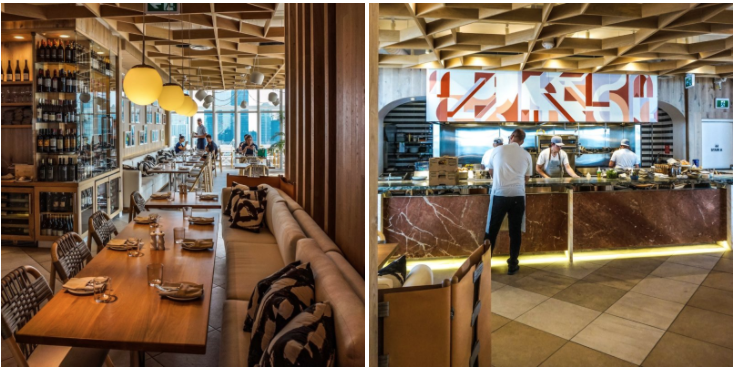 Sitting 44 stories atop the Bisha Hotel in the epicentre of Toronto’s entertainment district, KOST (pronounced Coast) is Toronto’s newest rooftop oasis. I first visited KOST when it wasn’t open to the public during TIFF for a party hosted by Sony Music Canada. The evening views are to die for just as much as the daytime views. The rooftop offers guests a 360 degree perspective of the 6ix and offers a well-appointed rooftop patio with a long infinity pool that makes you think you could touch the top of the CN tower. Kost, the latest addition to the Ink Entertainment family, is a toast to Baja flare, not only in taste but also by feel. The second I stepped out of the elevators, I felt like I was on vacation as the venue exudes the essence of the Baja Peninsula. The open concept kitchen sets the tone for a relaxing and breezy experience that’s still oh so chic. 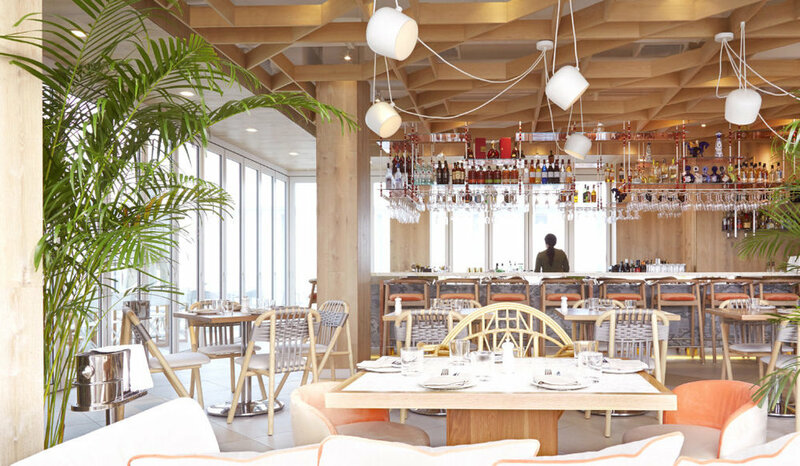 The designers (Studio Munge) have adorned the bright and spacious restaurant and patio with wicker furniture, pillows and plenty of loungers. The aesthetic is very simple yet elegant. I obviously went to the first Brunch seating. We feasted on light, fluffy coconut pancakes which paired perfectly with the fresh pressed juice. The pancakes are surprisingly light and refreshing – much different than what you would expect. The acai smoothie bowl is a perfect combination of tropical flavours and textures. The bowl is seriously impressive for what seems like such a simple dish. The Eggs Benedict with Green Chorizo is a great twist on the classic brunch dish. As the sun crested the CN tower, it illuminated our table and further elevated our brunch experience. The sun is shining on KOST in more ways than one, and if you are a breakfast connoisseur or brunch enthusiast I highly suggest you make your way over to indulge.